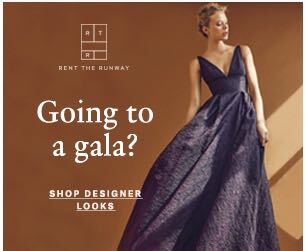 Shep and Ian Murray have definitely come full circle: From giving up their corporate jobs and daily commute through Grand Central to sell quirky ties to opening a NY Flagship At Grand Central Terminal. Not bad, huh? 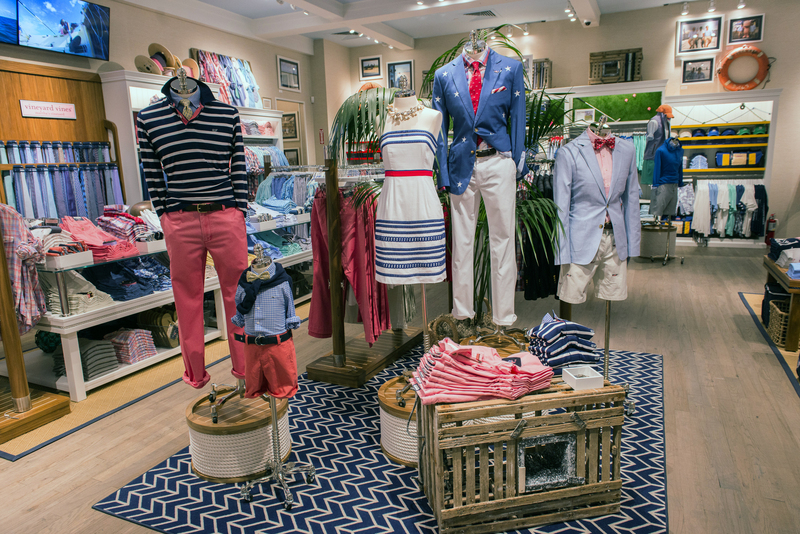 Brothers Shep and Ian Murray have opened their Connecticut- based preppy brand Vineyard Vines on 42nd Street, neighboring Banana Republic on the east side of Vanderbilt Hall. 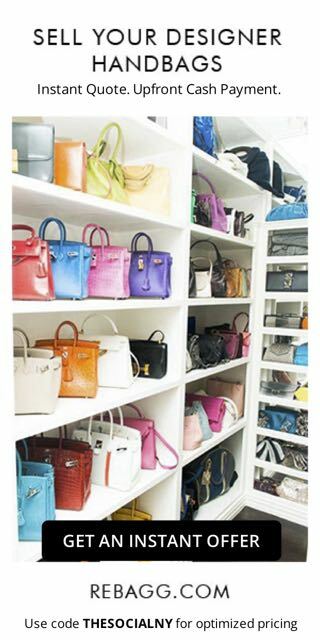 This is their second location in Manhattan, with the initial one situated at 1151 Third Avenue. 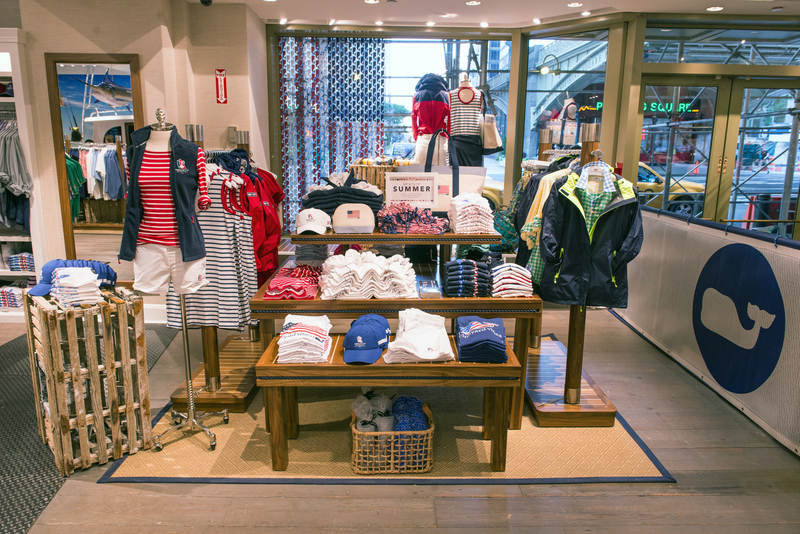 The store spans 6,000 square feet and features apparel and accessories for men, women and children. 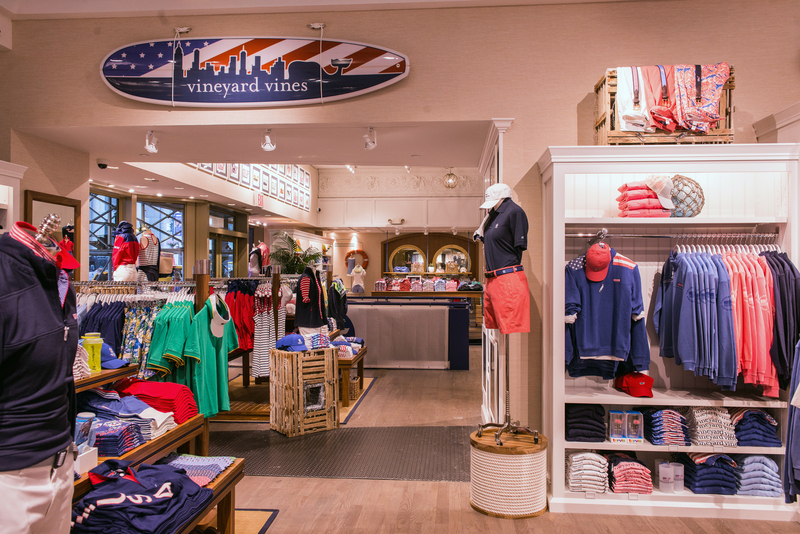 Items customized for Grand Central such as Shep Shirts for Men, Women and Boys make this Vineyard Vines scene unique. 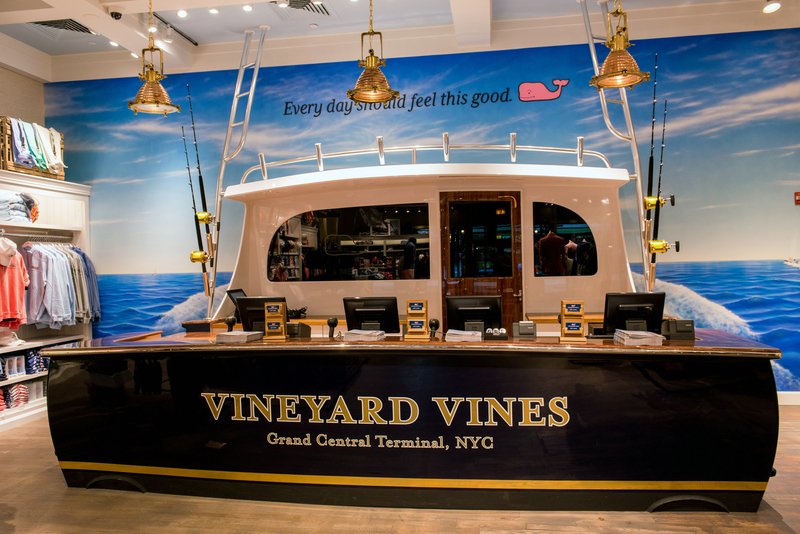 The Grand Central Terminal location is furnished with an interactive digital mirror, allowing vineyard selfies for sharing with friends and family before leaving the store. 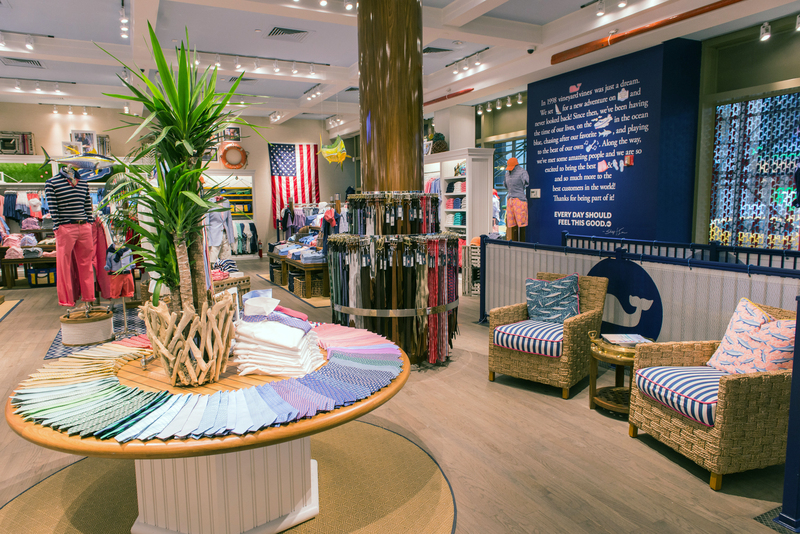 The cash wrap area is a stem of a boat, and marlins are mounted in the store, suggesting perhaps The Murray’s summers on Martha’s Vineyard. 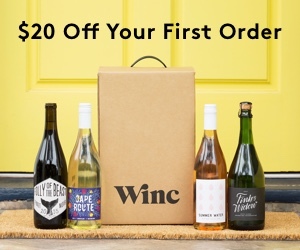 Like their mantra: “Every Day Should Feel This Good” is the vibe and you will experience this while shopping for dresses and shorts for vacationing, summer barbecues as well as year-round attire.